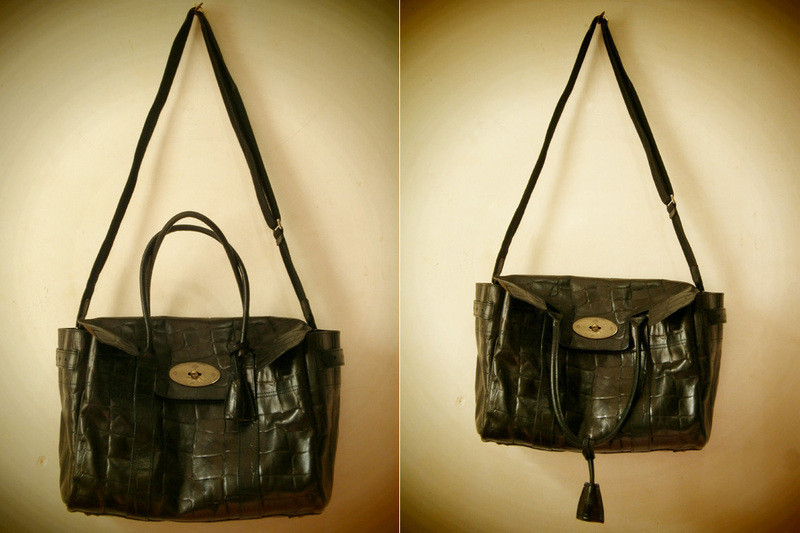 I have combed online shopping sites here in the Philippines looking for the cheapest Mulberry bag with the postman’s lock I was looking for. 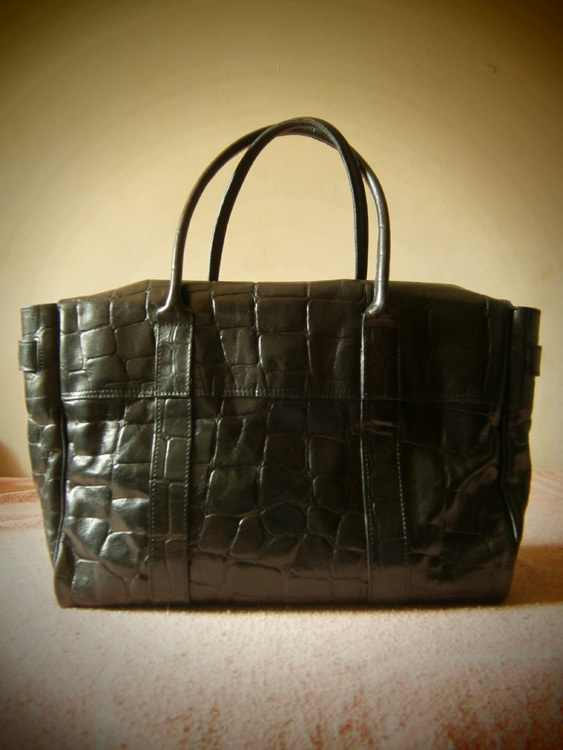 When I found one, I have contacted the seller of the Mulberry Bayswater in Congo leather and asked her if we could divide to cost between us and she gladly agreed. 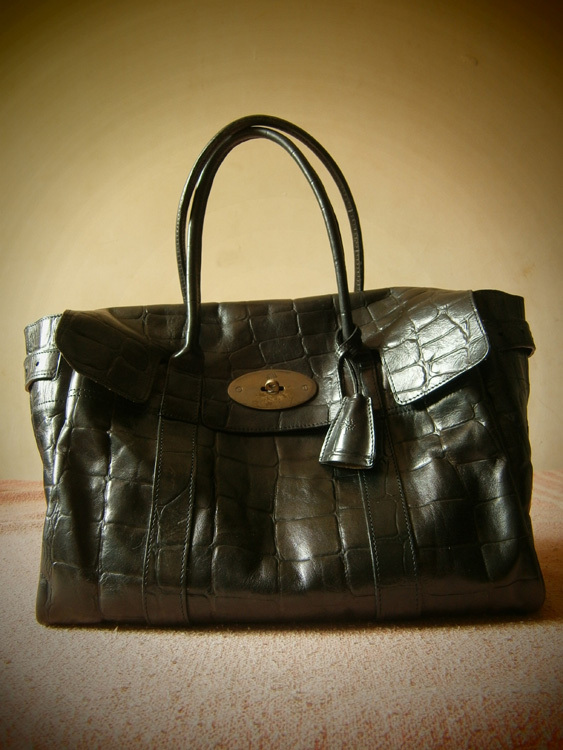 So yesterday, I met up with the seller of a fake secondhand Mulberry Alexa just to get that turn lock! When I got home, I inspected the bag to see how to accomplish the job. Well the first thing I thought of was how different this fake really is from the authentic one. And I think it merits a separate post. It left me with no choice but to just force that particular turn lock. In doing so, I know that it would make the part unusable but it did not bother me. You see, all I wanted is to fill that absence of the turn lock in my Bayswater and it was just a problem of aesthetics. That was the most cost-efficient solution I can think for the moment, and maybe I would have this properly repaired by Mulberry in the future when they already have their own store in the Philippines. =) As for the fake Alexa, it was then stashed somewhere it won’t be seen by anybody in my house. My tools for this DIY task! 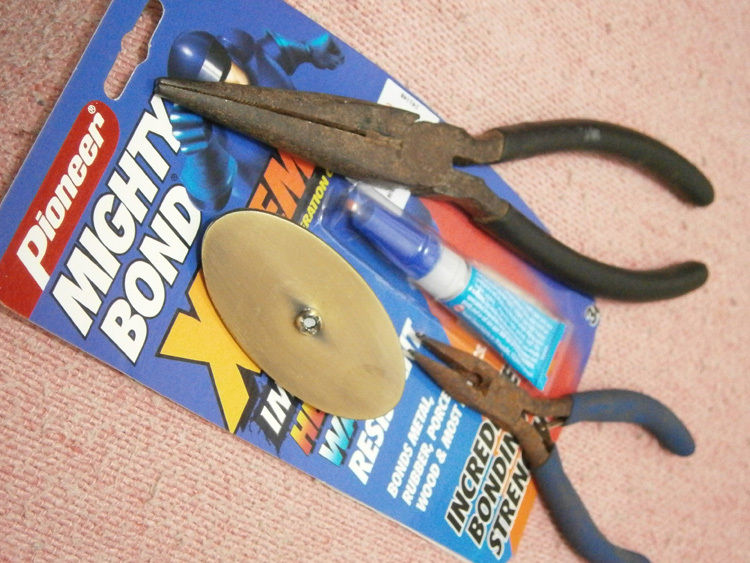 Two longnose pliers and a tube of Mighty Bond Extreme! 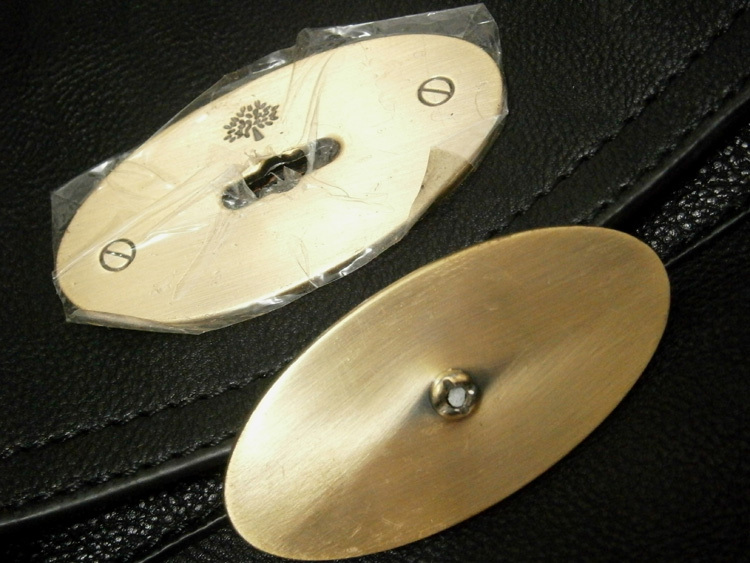 I pulled the metal plate with the turn lock from the bag using two longnose pliers, and separated the turn lock itself after. I then used a tube of this Mighty Bond Extreme superglue, which claims to work on metal as well. Et voilà! The postman’s lock looking much better now! I know I can no longer turn it but that’s the least of my problem. It closes on itself without the turning action and I can always put the provided padlock if I want to. Then what followed was taking an official photo to be added on my collection post! Photo of the back of this Mulberry Bayswater in Congo LeatherAnd as I’m the messenger-bag-with-the-top-handles type of person, I decided to give this Bayswater a twist. Well, I technically can’t carry a top handle bag all day long and will eventually sling it on my shoulder. 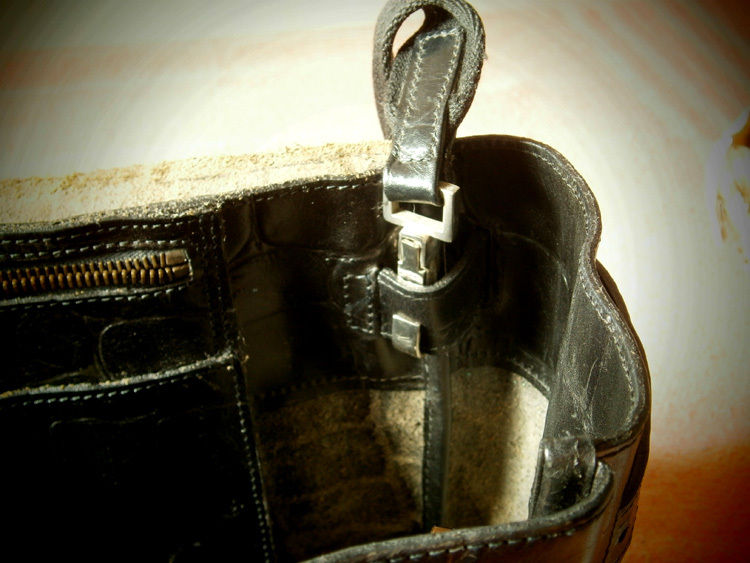 My remedy was to attach a detachable Gucci strap in the leather straps inside the bag. Pretty nifty huh? =) I have also stuffed the bag all day to make the gussets open wider to add width to the bag and make it less structured. I hope so. My mother has been eyeing the bag since yesterday and I have told her she can use it whenever she wants to because I will most probably use the bag every weekend when I’m wearing very casual clothes. I abandoned the use of this old strap and used a separate Mulberry strap I dyed myself. More details here. Previous Article← A thousand views! Great idea …love your solution, and bag!!! Thanks for finding it great! I momentarily thought that it might make the bag “impure” or something, but the heck with that! I wanted to use and enjoy it ASAP! =D My happiness is all that matters in the end! The bag lovely, and as an admirer of ingenuity, I am so happy with how it turned out. Awesome. Hi thanks a lot! I really hoped it’d turn out well! Hi Bry, I sent you an inquiry regarding the metal plate. Crossing my fingers. Thanks.